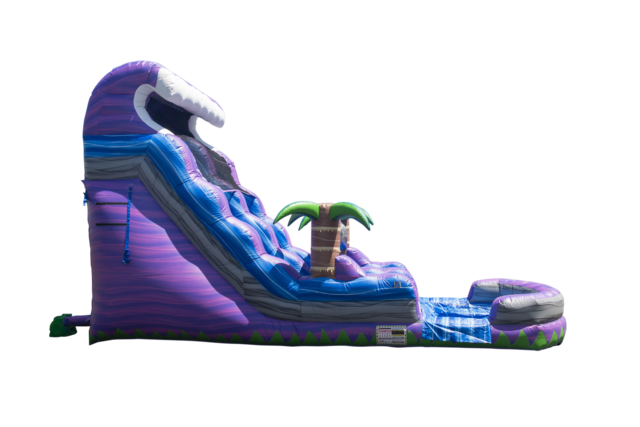 The Purple Crush Tsunami Slide is sure to bring the fun to your next event. The super colorful slide with tropical theme stands 18 feet tall. This slide is fun for birthday parties, school events, or just a backyard bash. Rent it today! This slide is also proudly made in the USA.